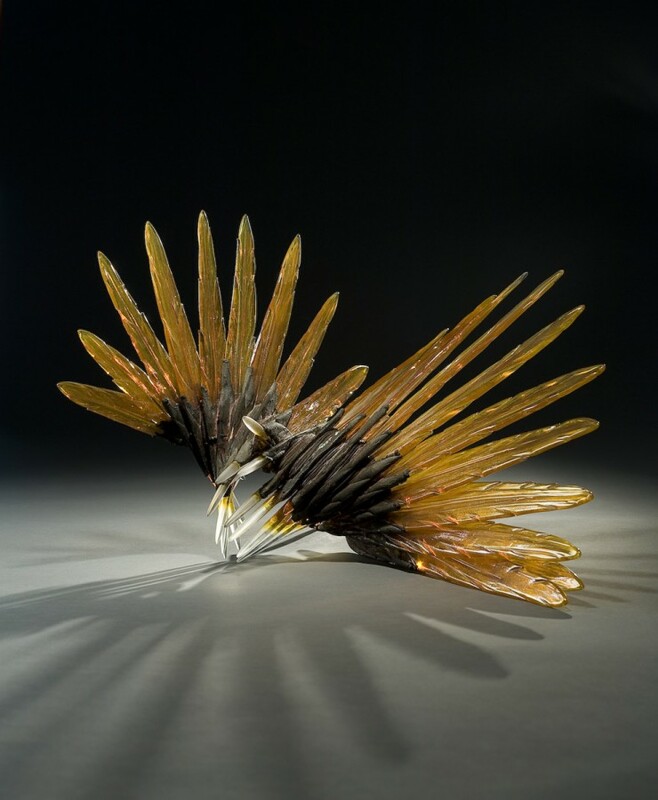 Susan Rankin is a Canadian glass artist based in Apsley, Ontario, who is well known for the glass florals she has been developing over a 30-year studio practice. 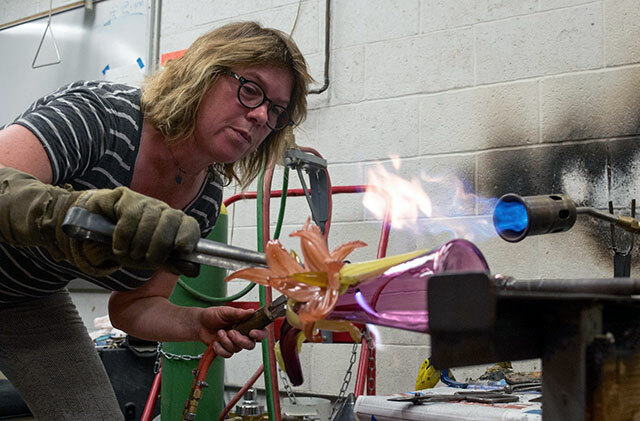 An avid gardener, she finds her inspiration from ideas found in combining natural garden elements with the history and traditions of glassblowing. 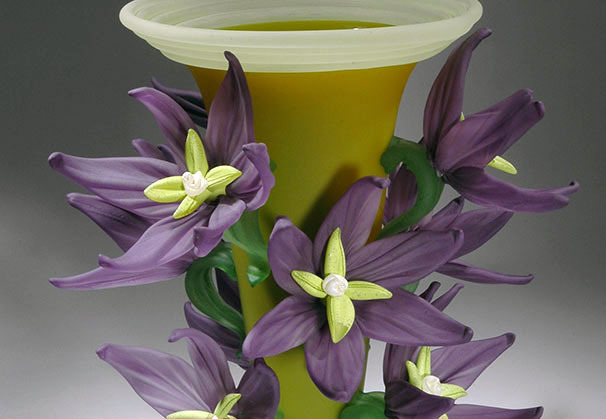 She has won numerous awards and her work is in collections worldwide. 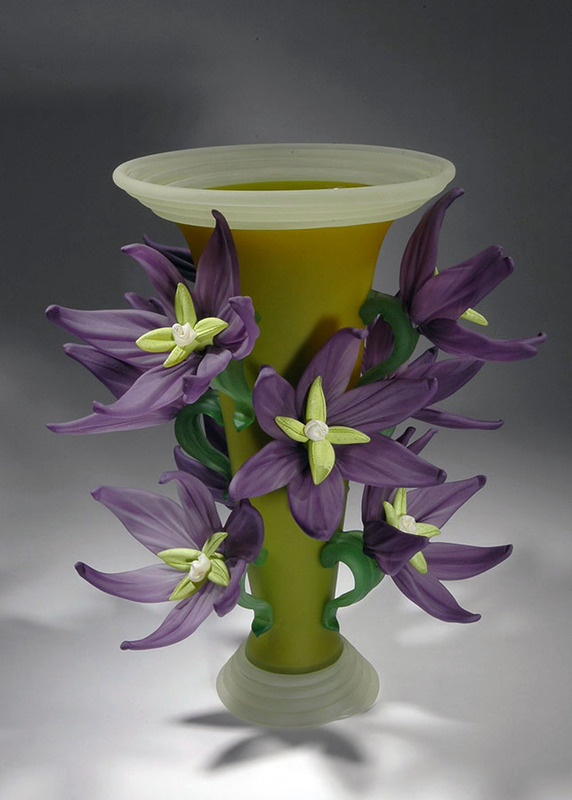 Susan is represented by Kittrell Riffkind Art Glass, Dallas. Texas. 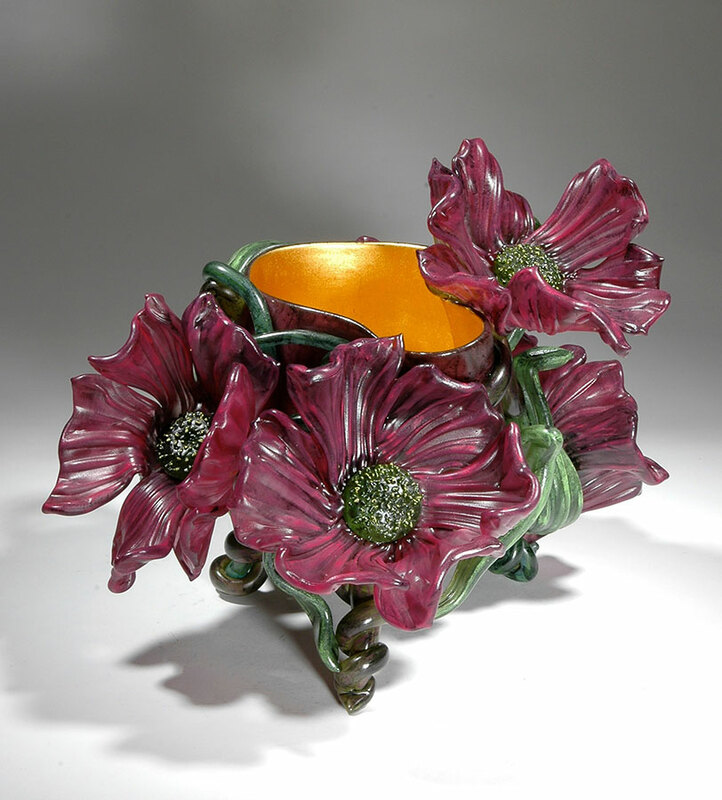 Flowering Vine Vessel Series, VV10104, Pink Poppies 2010; hand blown and solid worked glass, enamel, paint, 23K gold; 9.5 x 13 x 11 inches. 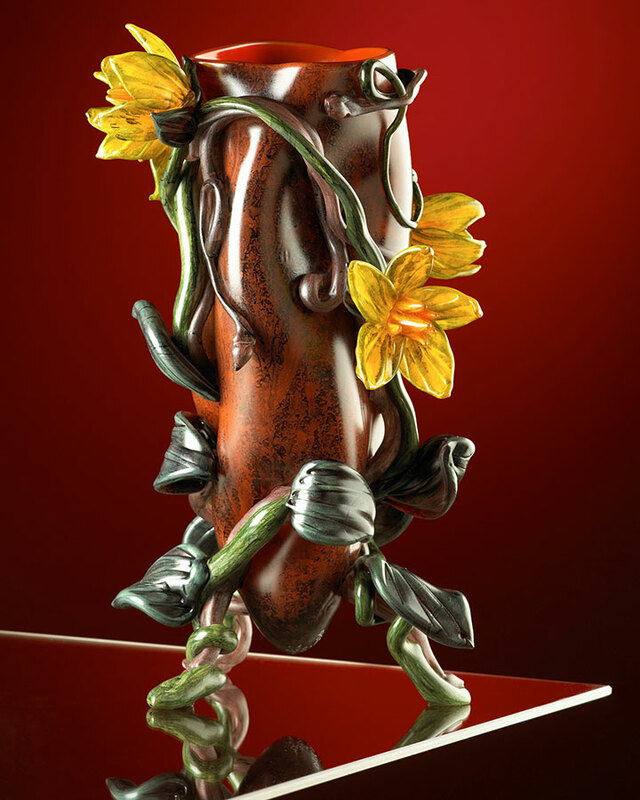 As an avid gardener I have a passionate interest in flowers. 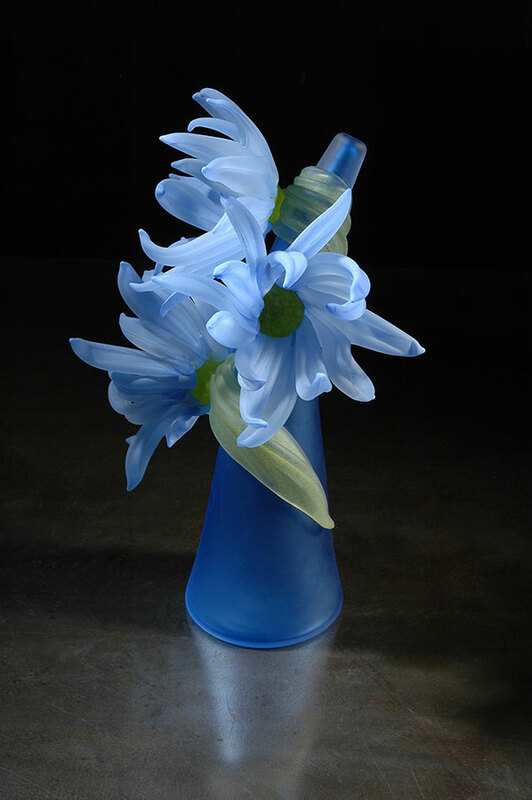 In the summer I spend each morning wandering amongst the new blooms to cut a flower from the chaos of the garden display for the bouquet in the house. 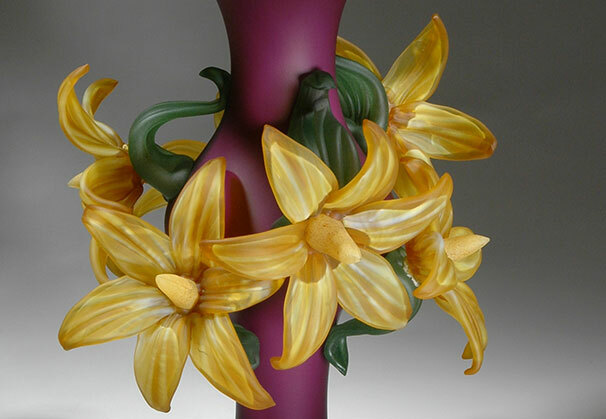 During the winter months I focus on my imaginary garden, expressing the joy of flowers in my blown glass objects. 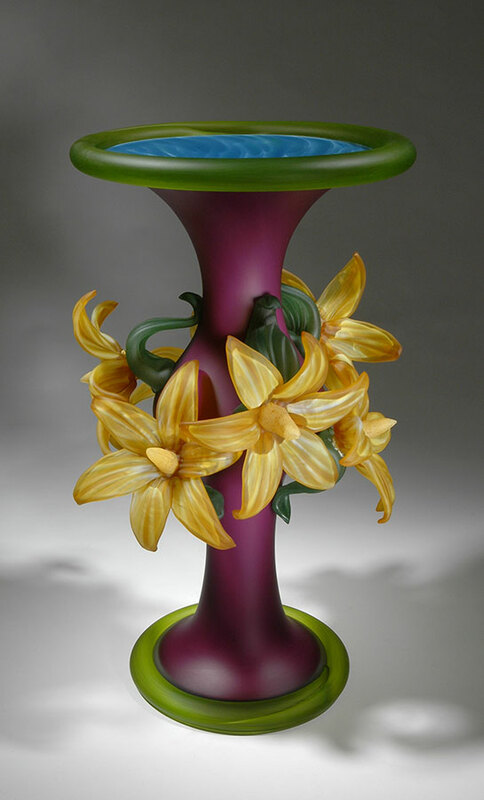 Beginning with the my original "Flower Vase" series through the "Flowering Vine Vessel" series and again in the body of work titled "Epergne," I sought to examine how glass has been used historically and how it could be brought forward in a contemporary way to continue to adorn the home. 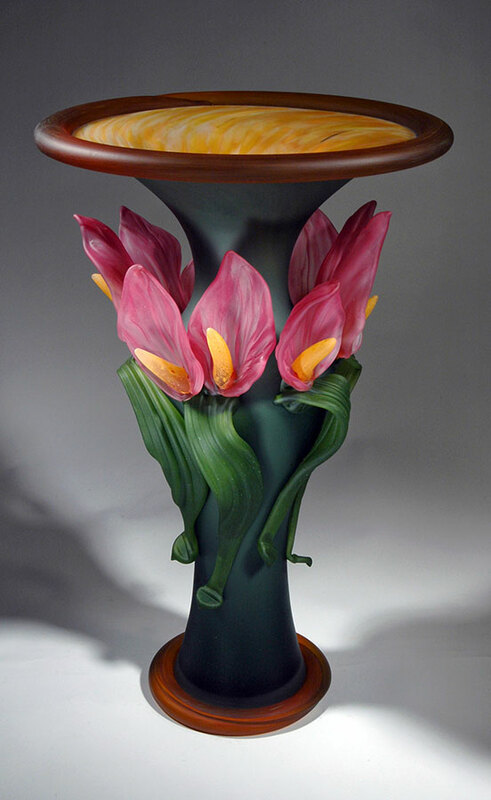 My latest project extends this exploration to the "Large Flower Vase" pieces. When I think of gardens I think of something larger than life. They are a physically manipulated, living space that can not only surround you, but also overpower you. 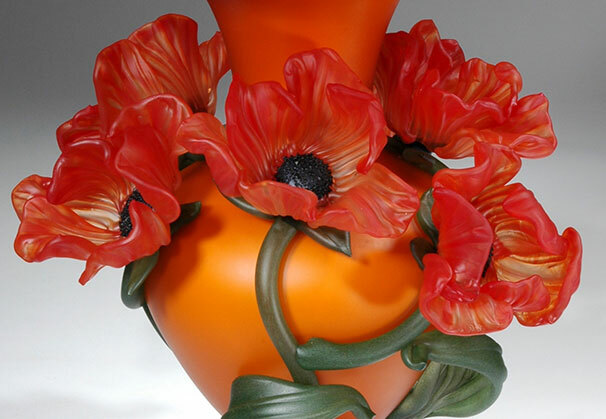 These ideas have fed into the new blown vessels as they take on a larger, more voluptuous form. 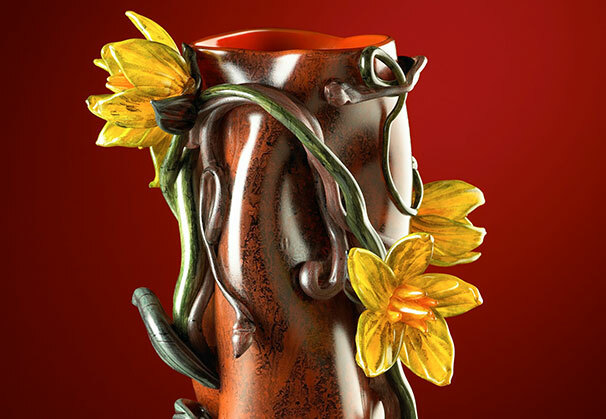 These pieces capture the beauty of the blooming on vessels, which reference historic forms that have evolved with a contemporary style. 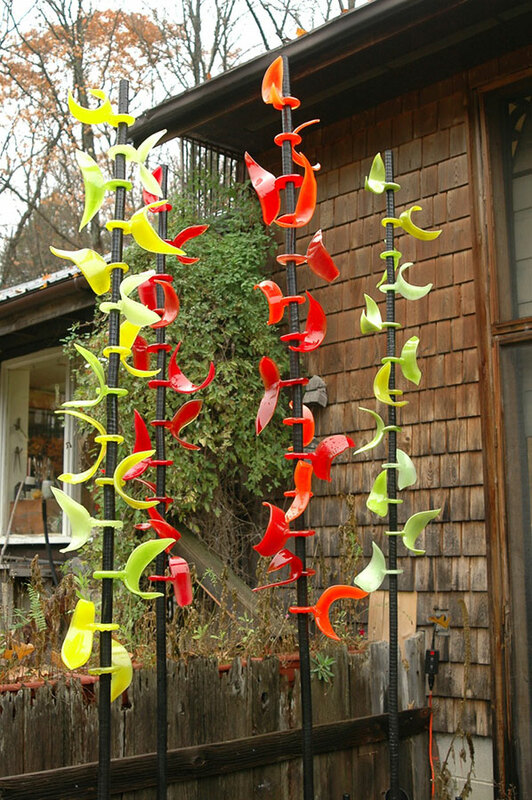 Her towering columns reflect the structure of plants and Susan reflects that, “It’s an object for the garden that extends and holds the spirit. 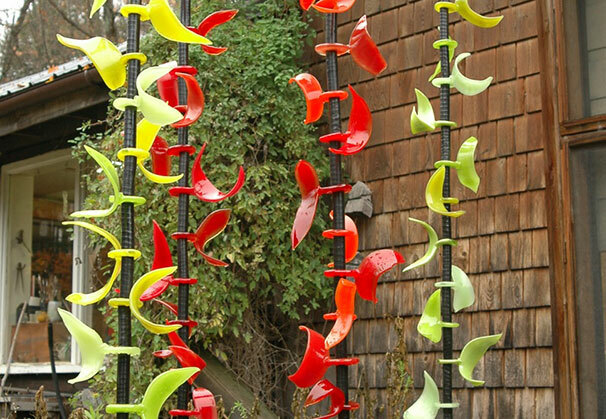 The pieces interact with nature.” she says. “In the winter, the ground is all white and smooth. 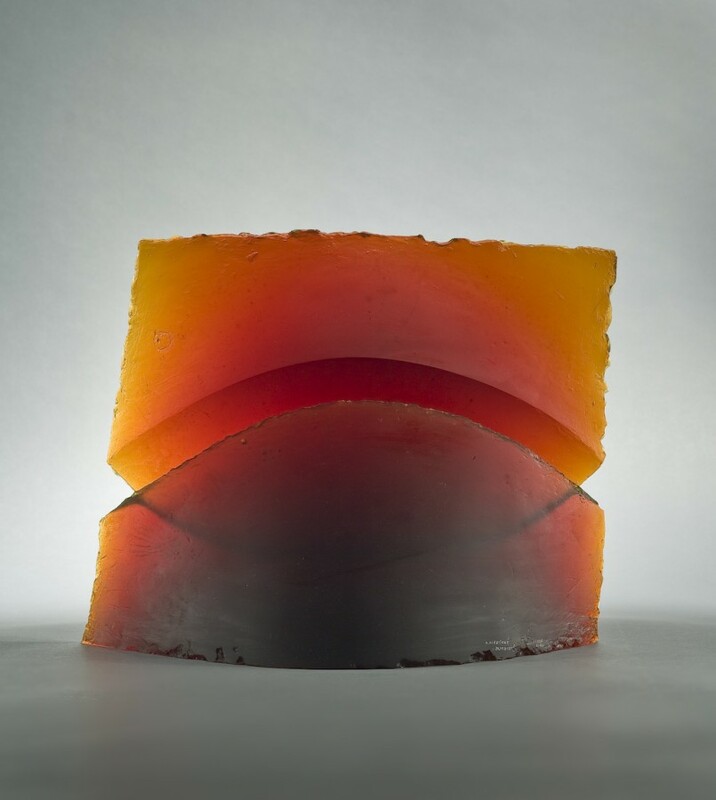 The sunlight has an effect on the columns, and the snow lands on them.” This is a special joy for Rankin, who purposely lives in the spectacular Precambrian shield region of Ontario – known for beautiful hardwood forests, but short on a summer growing season. 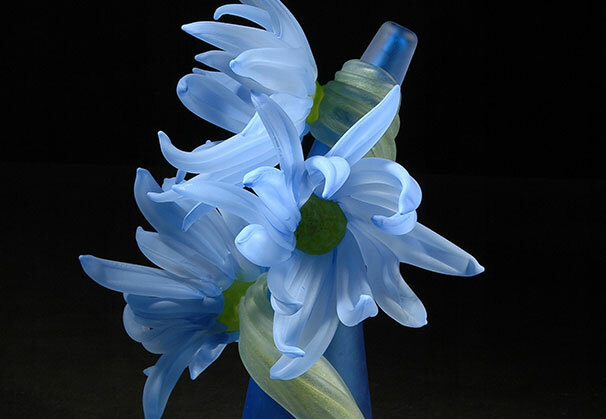 Rankin creates each flower on the pipe, pinching and snipping each petal out. 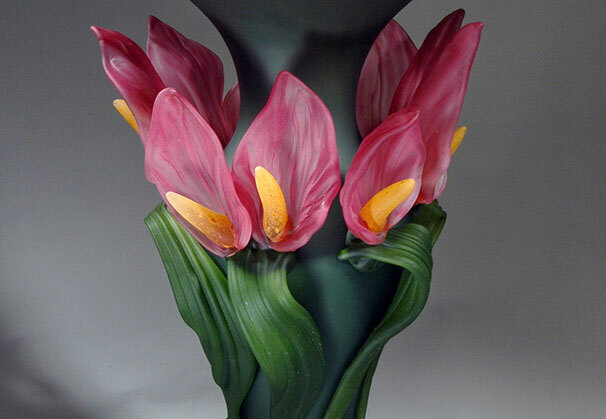 She places the flowers in the kiln while she works on the vase. 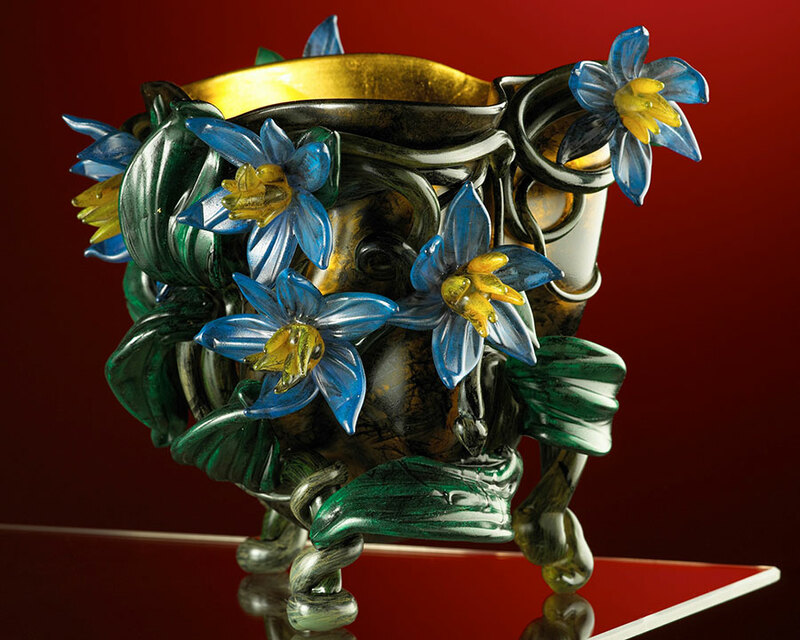 When she’s happy with the shape of the vase, she begins to adhere the flowers, vines, and petals using torchwork. 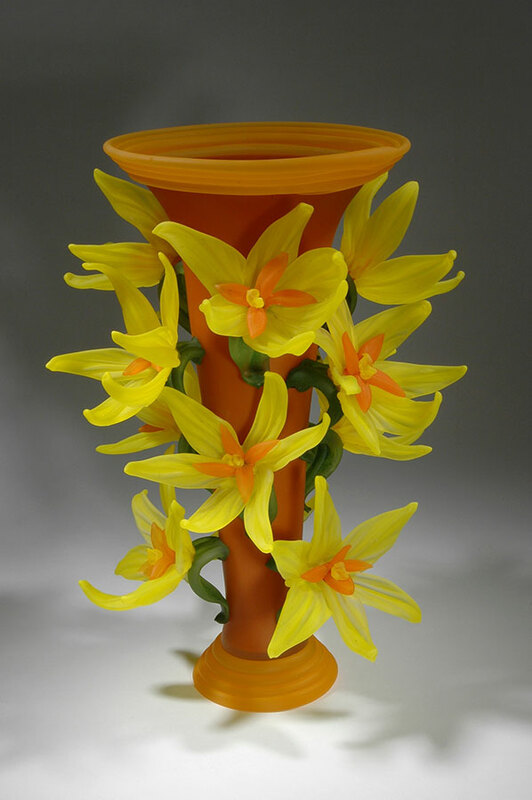 She says she likes to “pile on” the flowers, to “over-decorate” the vase, resembling the lushness and abundance of a garden setting. 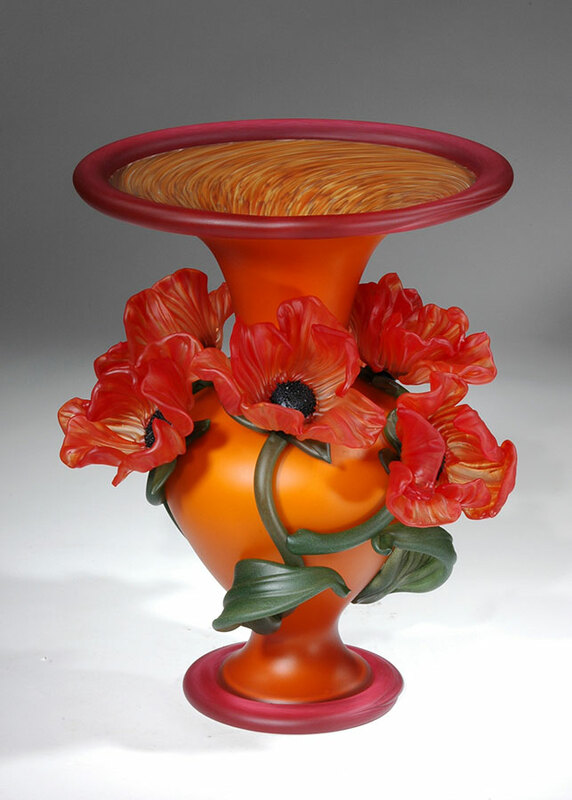 In a unique step, she sandblasts the exterior to soften the look. 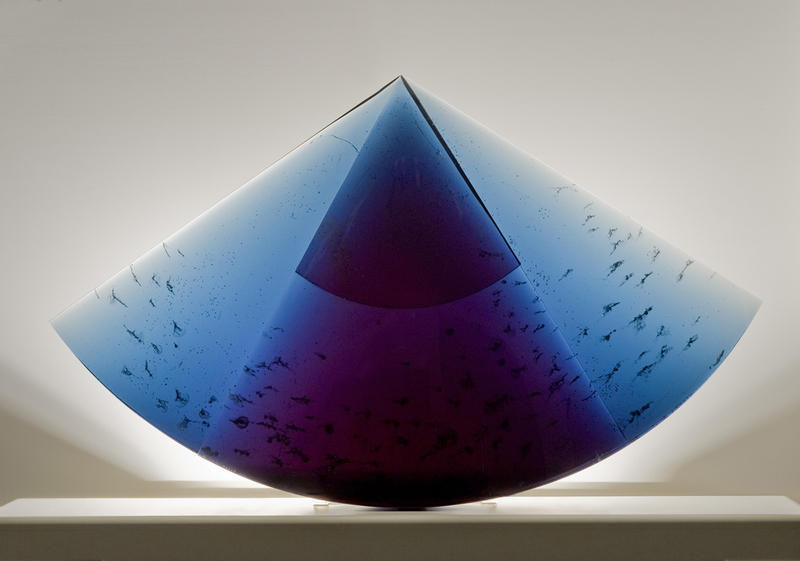 “It’s funny, because I work with glass, but I don’t like the shiny aspect of glass, because gardens aren’t shiny.” Instead, she denies the glassiness to give the piece a “crawling in dirt” feel. 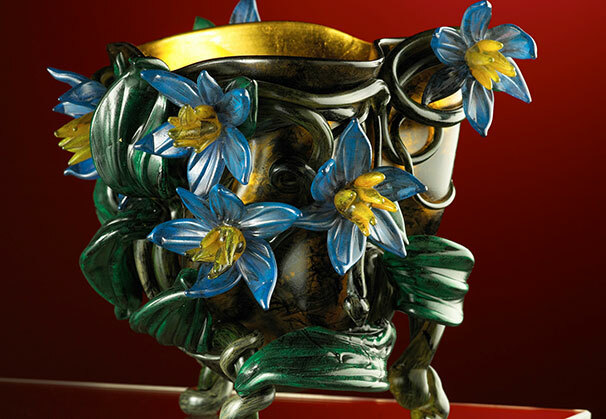 Within the flowering vine vessel series she uses black enamel and in a final step, she adds painted and gold leaf before she seals the vase. 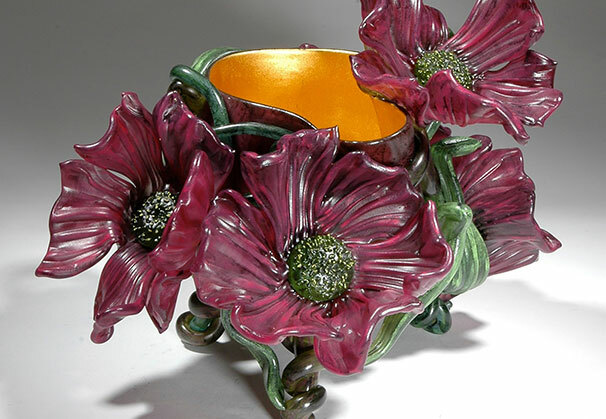 Susan lives and works from her home in Apsley Ontario. 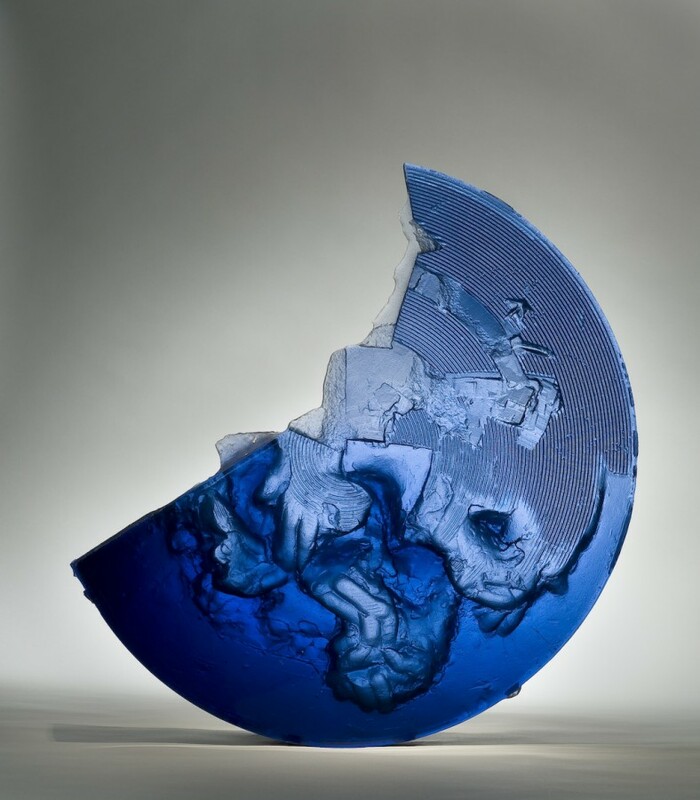 She graduated with honors from Sheridan College, Oakville, Ontario, in 1989 and received a three-year artist-in-residency at the Harbourfront Centre glass studio in Toronto from ’89-‘91 and a short term residency in ‘06. 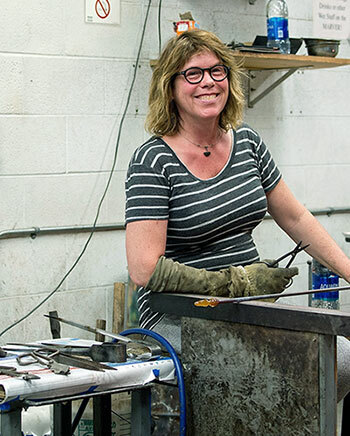 She has studied glass at the Pilchuck Glass School, Haystack School of Craft, and Penland School of Craft in the U.S. Susan currently teaches glassblowing at the Haliburton School of the Arts, Haliburton, Ontario. 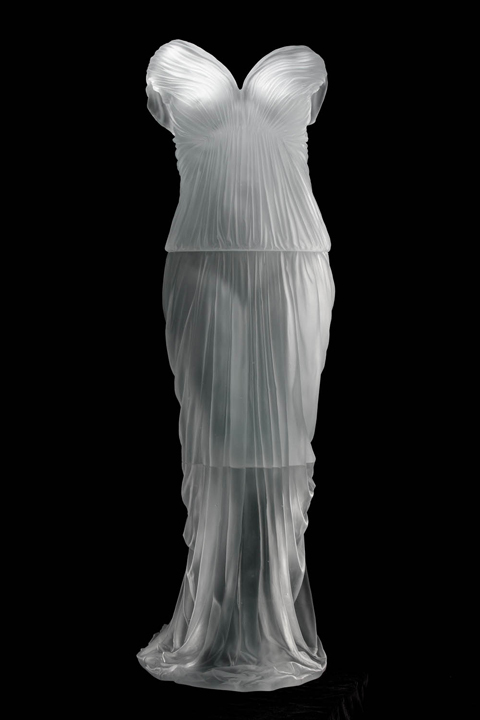 Susan has won numerous awards and acknowledges the generous support of the Canada Council for the Arts and The Ontario Arts Council. 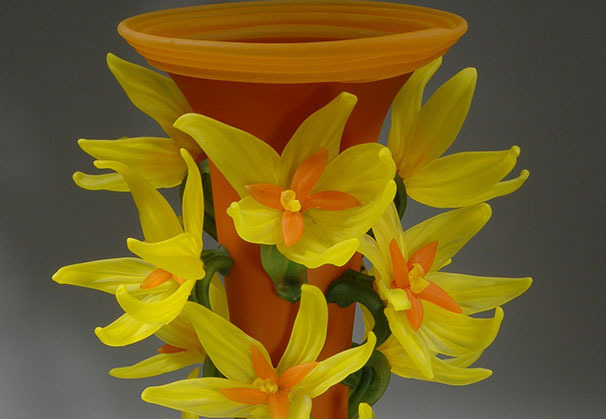 We are grateful to Kittrell/Riffkind Art Glass, Dallas, Texas, for providing the Artist of the Month.